First Micro Four Thirds Camera - Panasonic Introduces ! Today Panasonic has introduced its first Micro Four Thirds pseudo-SLR system based camera. 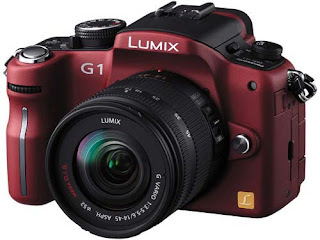 The name of the camera is Limix G1. This has come with a smaller lens and 12.1 megapixel camera lenses that is the smallest and lightest camera lens to carry swappable lenses. These cameras lenses still have the facilities to focus a more typical DSLR. This has a new imaging system and the G1’s focus to let the camera free for implementing the software features to shoot the pictures as experienced photographers. 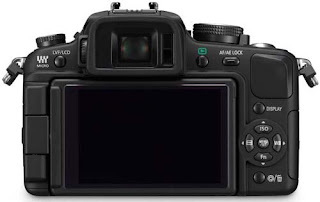 This camera features autofocus tracking, auto scene selection, face detection and a new contrast-based auto focus mode. In additional this camera offers a dust removal system and HDMI video out for previews. 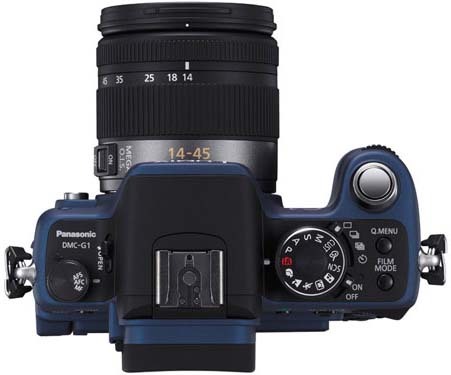 We can have this camera in professional black, blue and Red colors along with a 14-45mm, f/3.5-5.6 lens bundled in the box to get users started on Micro Four Thirds. More details should be available in October and will include pricing for a 45-200mm, f/4.0-5.6 optional lens for distance shots.